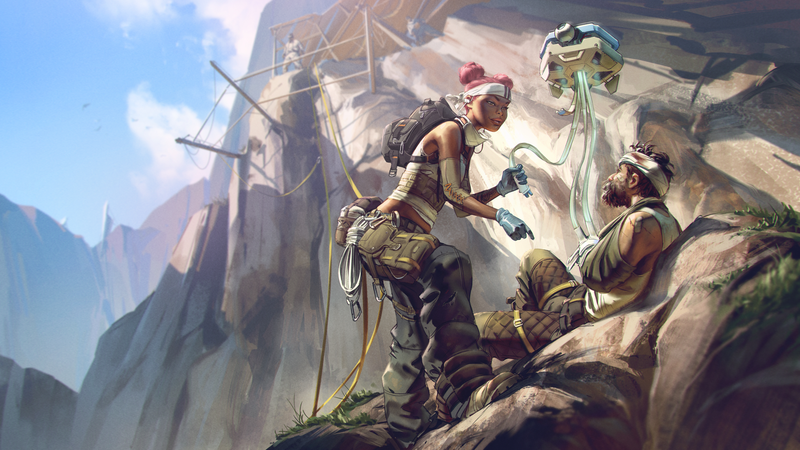 Apex Legends just came out earlier this week, and players are already finding some mysterious easter eggs: small model dogs and dinosaurs. Awww. The new battle royale game from Respawn Entertainment is so new I feel like I’ve just barely scratched the surface of what I can do in it. Some players who’ve spent their time in the game exploring the world map have started to find hidden models. Some players on Reddit and Twitter say that in the training map, in a gap in the mountains, you can find a model of a dog. This same model of a dog can also be found in the market area of the King’s Canyon map, where it’s surrounded by framed pictures of a real life dog. Elsewhere on the training map, you can also find a small plush dinosaur. Kotaku reached out to Respawn about these animals, and while the company did not provide comment about the dog or the dog shrine, they did point out that longtime Respawn fans might already recognize the dinosaur. I’m glad Nessie’s got a name; she’s also adorable. I’m still really curious about this dog, though, especially because it seems so beloved. I’m not a pet owner, so I don’t know, but maybe creating dog shrines hidden in a video game is just your average way to show your devotion to your furry friend. Update - 5:46pm: Jason McCord, lead level designer at Respawn, shed some light on the dogs hidden in Apex Legends. During development, McCord said, he and his wife’s dog Shadie passed away suddenly from health complications. Rest in peace, Shadie. You truly are a legend.